At Love and Care Heating and Air we proudly install the “best in the industry” heating and air equipment. We’ve aligned ourselves with the top manufacturers and have a full palette of equipment to select from. Whether you are looking for a Lennox, Ruud/Rheem, or a Trane/American Standard, we are capable and experienced at installing all of them. Each of the three manufacturers above has several tiers of efficiency levels to choose from, so whether you are choosing something for your own home or perhaps for a rental unit, you can rest assured that you will have many options. Consumer Reports has consistently ranked these manufacturers at the top of their list for performance and reliability. They are industry leaders when it comes to durability and reliability. Additionally, because they are industry leaders, and because they are made in America, there is an ample supply of parts when and if the time comes to repair or service them. A warranty is not much good if it takes a week to get a part, especially when you need it most. We also install JPL ducting systems as part of the equipment installation if you choose to replace your ducting at the same time; JPL is widely considered to be the best in the industry. Most clients are unaware of their ducting needs when replacing their heating and air equipment. According to Advanced Energy Corporation, testing on new systems (installed in brand new homes) revealed that there was an approximate 15% - 25% loss taking place because of leaks in the ductwork—and that’s from testing brand new homes. Stringent testing was not in place when most of our homes were built, hence, unknowingly allowing a percentage of the heated and cooled air to escape into the attic or sub-floor. You should consider the pros and cons of replacing the ducting when you install new equipment, ensuring maximum performance. The ducting systems we install are R6 and R8 silver (R is the insulation value—R4 was the standard value years ago). 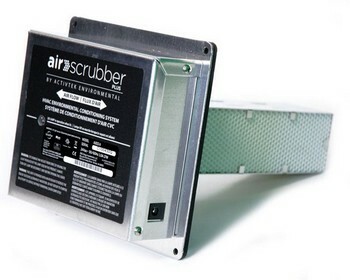 JPL offers an option for Anti-Microbial R8 ducting. 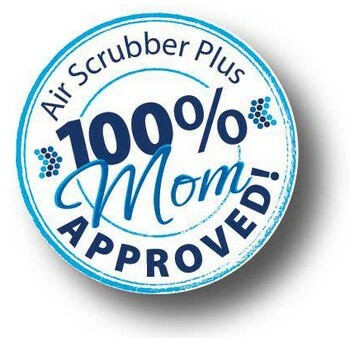 This is a great option if you have a family member with allergies or is susceptible to respiratory infections. Every little thing you can do to alleviate allergy problems helps. Sometimes your heating and air systems is working fine and you’d just like to air the house out real quick, bringing in all that fresh air in the morning or the evening and take advantage of the natural “free” conditioned air. If you like to open the windows in the morning and the evening for fresh air, then we can install the industry leading whole house fan made by QuietCool. While whole house fans are nothing new and have been around since the 1950’s, the QuietCool product is a real game-changer in that it operates “whisper quiet,” not like the old ones that shake, rattle and roll the whole house like a helicopter overhead. So if you’re the kind of person that appreciates the fresh air moving about the house, then you should strongly consider adding one of these to your home, and doing so at the time of your HVAC install will save you even more money. Have you ever heard of a “mini-split?” Years ago few people had heard of them here in the United States. But for a long time mini-splits have been popular in Europe, Asia, and Central America. A mini-split is a relatively small ductless heating and air system that delivers year round comfort. These small ductless systems are popular for room additions, patio enclosures, garage conversions, home offices, or in any room that you want to have control over the air separate from your central system. We install Fujitsu manufactured mini-splits, marketed under the name of Halycon. Fujitsu is a Japanese company with a long-term view regarding manufacturing and the environment.